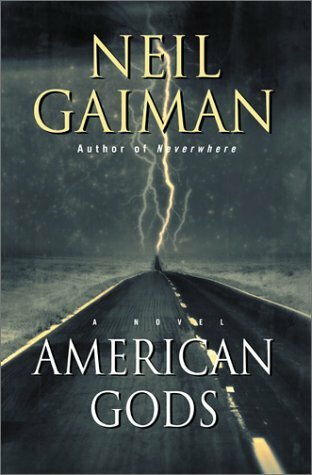 American Gods | Kris Johnson's Blog…sort of. “It’s good,” said Shadow. It was too, a savory delight wrapped in hot pastry. I’ve got to give Mabel credit for not putting rutabaga in her pasty. Nothing ruins a good pasty like rutabagaThe citizens of Cornwall (and maybe a few Yoopers) might be dismayed to learn that the second sure-fire way to ruin a pasty is to serve it with gravy. Pasty should only ever be served with two condiments: butter and ketchup.. The Cornish may have brought the pasty to the U.P. (maybe they really do pronounce it “yoopie” in Minnesota WisconsinFor some reason I had it in my head that Shadow was in Lakeside, Minnesota. It’s actually Lakeside, Wisconsin., but that seems a little lazy for the Yooper in me), but it was the Finns who kept it there. Today, the pasty is closely associated with Michigan’s Upper Peninsula as lobster is with Maine, cheese with Wisconsin or cheesecake with New York. On arriving in the U.P. by way of the Mackinaw Bridge, the billboards advertising are omnipresent in St. Ignace and points west. When Laura and I visit my parents in the U.P., pasty is almost invariably the first meal we have at their house (though I haven’t eaten pasty for breakfast in many moons). There are probably a dozen or so places to buy pasties in South Range, Houghton and Hancock, and only one place to buy a Big Mac. That’s the way it should be.